Watching last night’s electrical storm in awe of nature. I'm impressed that you caught the lightning ! Oh, I love this! We had very few storms to try to photograph this summer. 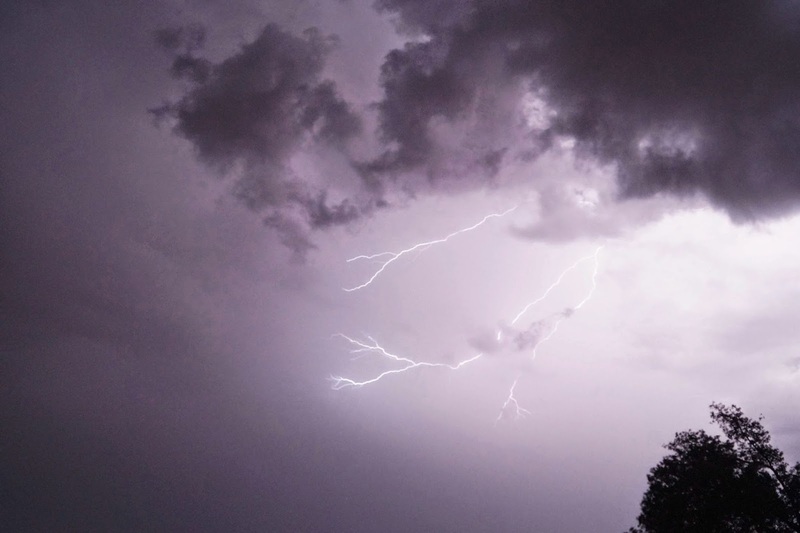 the one time I did have a photo of lightning on my blog my 80+ year old mom called to ask if I had been careful! I loved that! Thankyou all. I was pretty stoked to get the shot myself. We don't get many electrical storms as impressive as this one. It was amazing. And it gave me some time to experiment with taking lightning photos - from the safety of the verandah of course. We had a bit of thunder and lightning on Wednesday but nothing like what NSW has been experiencing. One big crack went over our Ford dealership and I squealed so loud - lols!